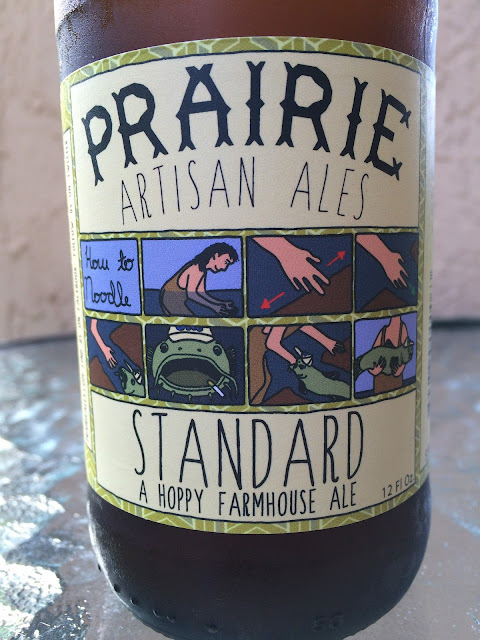 Decided to check out Prairie Artisan Ales' Standard, a hoppy farmhouse ale today. The label art offers an 8 panel cartoon titled "How to Noodle." I don't understand it in the slightest. The side panel makes sure you know that this is "Made By People That Truly Care. From Oklahoma, With Love..." 5.6% alcohol. 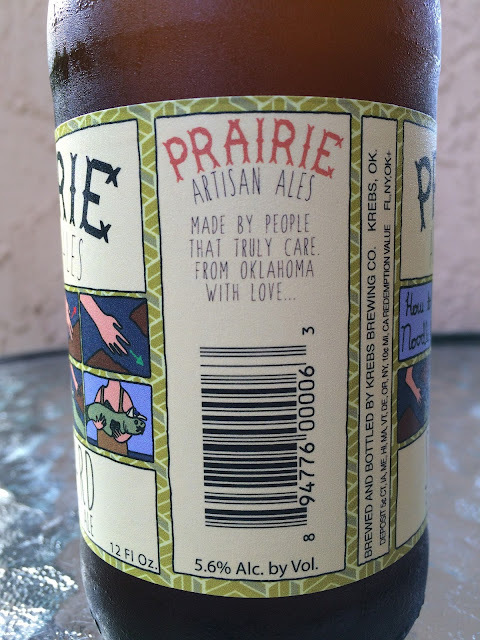 Brewed and bottled by Krebs Brewing in Krebs, Oklahoma. 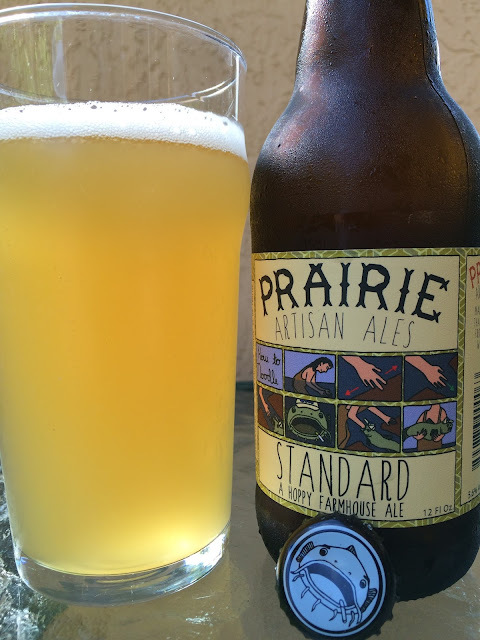 Hoppy lemony aroma with light yeast and funk present. Candied lemon, citrus to start with some hops adding plenty of pleasant grassy bitterness. Carbonation is prickly. Some tangy interesting flavors ride those bubbles. Yeasty, chewy, sort of funky. Maybe a hint of wet dog, and the yeasty flavors seem to linger on into the aftertaste. Was OK - ironic right?